As its name implies Facebook lite App is a lighter version of the world’s most popular social media network. Facebook lite allows you to connect to Facebook with very little internet connectivity and it also allows you to access Facebook messenger without downloading the Facebook messenger app separately. 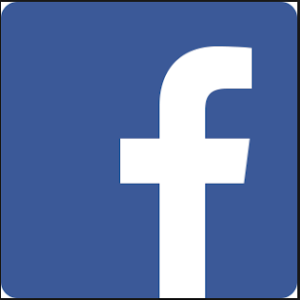 Facebook lite App is available for download in all android devices. People can download it in a few seconds no matter how slow their network connection is. Facebook like is fast to install because the application is small and it uses less storage space. With the Facebook lite app, you can have access to all of the basic Facebook features. Like; sharing and liking of photos, videos, and posts searching for people, posting to your friend’s timeline, and editing your profile and groups. It has other special features like; saving of photos to a particular photo album, following your Facebook friends, looking for information’s on business matter’s, finding social events, and lots more. The latest feature of Facebook lite is adding up stories and also allowing you to view your friend’s stories on Facebook. It uploads photos and updates quicker than the normal Facebook app. The Facebook lite App is mainly designed for 2G networks and rural areas with bad signals and unstable internet connectivity. It has been designed to use less RAM and CPU power to enable you to get a better experience while using it on cheaper and less powerful phones. However, Facebook-lite App is almost fully featured as the regular Facebook app. You can still like and comment on your friend’s photos, videos, visit their profiles, post on their timeline and yours too. Even with all these features, the only difference between the Facebook lite and the normal Facebook app is the user interface. The Facebook lite interface has big, block buttons, loading bar, and other elements. It feels a little bit dated but it is functional and easy to use. If you are using the Facebook lite, you don’t need to tap on the refresh bar to view new posts. Whenever you scroll down Facebook lite automatically gets new posts than your regular Facebook app which takes some seconds to refresh your news feed. Talking about Facebook, it has a lite version of the main Facebook app and its messenger. The major difference between Facebook lite and the normal Facebook app is their size and battery usage. The Facebook app ranges from 58 – 60mb, the Facebook lite app weighs 2mb. Facebook lite is very light on your battery and it consumes very less battery than the standard Facebook app. The Facebook lite app does not refresh posts or feeds because it doesn’t support auto-refreshing, but the normal Facebook app supports refreshing. However, the Facebook app icon is colored blue. While the Facebook lite app icon is colored white and it shows up on the launcher with the name “Lite”. If you have a good android phone and a cellular data plan would suggest you install the Facebook lite app and enjoy its better features. Meanwhile, there are some necessary steps you need to take in installing the Facebook lite app. You should follow these simple steps to achieve a successful installation of the Facebook lite app. Go to “play store “ on your android device or smartphones. Type the name of the app you want to install in the search bar at the top of the page. Read the terms and conditions following the process, after which you will have to agree with the terms and conditions. Click on “download” or “install”. You have successes installed your Facebook lite app on your device. You can start exploring the app and enjoy its wonderful features. Download Facebook Lite App – Facebook Lite, just as the name implies, is the lighter version of the popular social network’s mobile application. Facebook Lite app does not consume much space on your mobile device and uses much less data and less internet connectivity like 2G networks, meaning that pages load quickly and you don’t need to about data consumption. Download Facebook Lite App now and start connecting to Facebook with very little internet connectivity. Another thing you will get to enjoy after downloading Facebook Lite App is an access to Facebook Messenger without needing to download the separate application, that mean you can freely use Facebook Lite App to chat wit your friends and relatives. Facebook Lite App is compatible for Android 2.2 or higher, so click the button below to Download Facebook Lite App for Android Phones immediately. Hope this article is helpful? Kindly use the share button below to send this articles to your friends and relatives on Facebook, Twitter, Google+, LinkedIn, Tumblr, WhatsApp etcc who would like to Download Facebook Lite App too. You got a question or you want to make suggestion about Facebook Lite, kindly use the comment box below to share your thought with us. 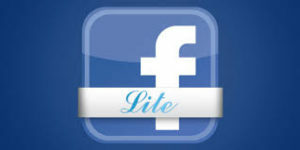 Thanks for checking out our post on Facebook lite App | Download Facebook Lite free | Facebook lite vs Facebook app. I hope you learned something. Please do come back again.